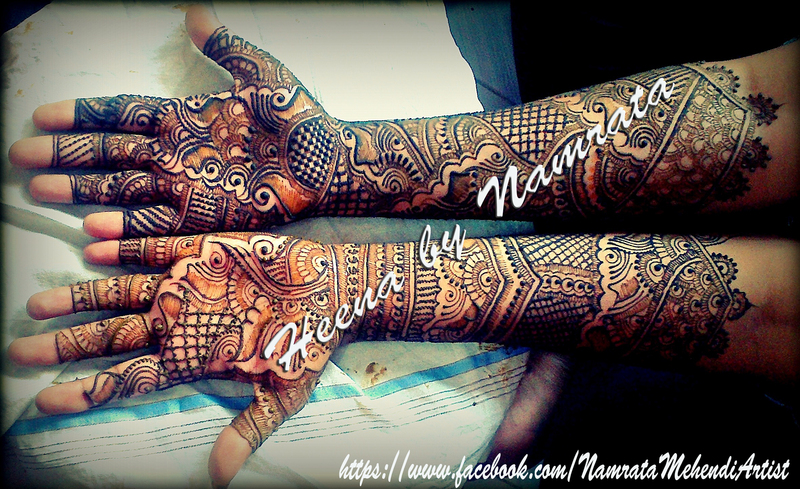 Presenting to you, Namrata from Mumbai and her amazing mehndi designs. Enjoy Zuri’s interview with her. I had a natural talent and skill to do mehndi since childhood. I started applying henna when i was 17 years old and my hobby became my profession. My biggest plus point is speed with best finishing & clarity, by which the client does not waste the whole day to get mehndi applied and her excitement does not turn into boredom. My mission is to create awareness about the mehndi art and share this beautiful art to the people. I don’t actually have a favorite mehndi design – it changes every one month! Currently my personal favorite is Indo-Arabic, the most popular style now days. My most memorable experience was when I applied mehndi to 2 brides and 30 people in one day starting from 7 am till 11 pm. 4. What are your most important tips to take care of mehndi after applied ? Wash the area to be decorated with a good soap and water. Mehndi should be kept for 2-3 hours till it is fully dry. Scrape off the dry mehndi and do not wash it with water for at least 24 hours, to ensure maximum color. Apply a mixture of lemon and sugar to the dry area. Avoid staying close to the air conditioner as it dries up the mehndi. You can have a glimpse of my work here and on facebook you can find me here or email me at cutenamu1985@gmail.com. 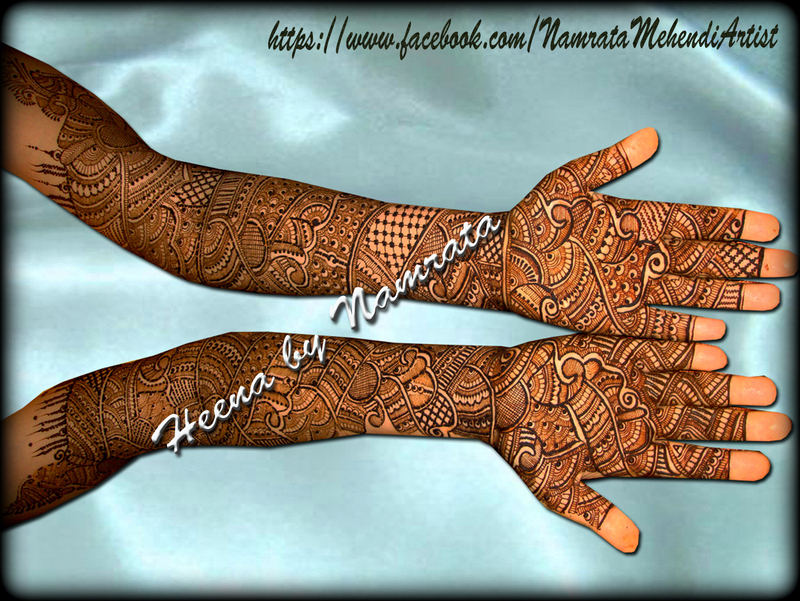 Enjoy mehndi designs by Namrata. (Published with permission of Henna by Namrata. Please don’t use these images without permission from the original source).